Long hair is a trend that never goes out of style. Many people consider it an element of beauty and elegance. Hence, hair loss is one of the biggest impact concerns in our days. There are many natural ways available to stimulate hair growth and also reduce the hair fall. Submit it to dyes, dryers, and products to smooth it often deteriorate the hair follicles causing its fall. Also, suffering from the thyroid, anemia, poor diet or menopause can make the situation worse. Performing massages on the scalp to stimulate blood circulation in that area provides greater absorption of nutrients and prevents capillary fragility. There are also natural remedies that provide nutrients to the hair roots and, consequently, optimize their growth. Herbal and spice remedies are increasingly popular because of their effectiveness and low price. Here are some recommendations to stimulate hair growth and make it healthy and strong. Undoubtedly, rosemary is one of the most recommended plants to stimulate hair growth. For decades it has been used effectively in the prevention of hair loss, providing nutrients and strength to the scalp. It also prevents the premature appearance of gray hair. Rinsing your head daily with rosemary water revives the color of dark-toned hair and adds volume to it. This plant is well known for its high content of silicon, a mineral that stimulates hair growth and provides strength to nails and bones also. Silicon hydrates and promotes elasticity and capillary resistance. Thus, having greater resistance, the hair breaks down less. It provides essential nutrients to the hair roots so its use to reverse its fall is indispensable. Gives strength and prevents brittle strands. This herb is full of benefits that stimulate hair growth. Not only prevents its fall, it also serves to cure seborrhea and also used remedy for dandruff. Its high content of vitamins (B, C, and E) reduces the harmful effects of free radicals. It also inhibits the excessive production of fat and stimulates the circulation of capillary tissue providing brightness and strength. Thanks to its cleansing action it tones the hair fibers, which also helps to oxygenate the scalp. When you dry and grind the leaves of this plant you get a vegetable dye. This is used to revitalize the reddish color of hair in a less aggressive way than that used by commercial dyes. It also provides antifungal and antibacterial benefits, making it ideal for treating cases of persistent dandruff and seborrhea that other products do not eradicate. Henna adheres to the hair fiber, which causes thicker hair. It also works effectively to straighten hair naturally. The curry is a very used spice in the current gastronomy. Its green leaves are used to repair the damages generated by the indiscriminate use of commercial products, solar overexposure, and pollution. Its essential oils and proteins nourish and invigorate the hair tissue. Curry has a high content of beta-carotene, a nutrient that reduces hair loss and also stimulates their growth. It is also ideal to counteract the premature graying of your hair. It promotes the production of melanin, coating each hair fiber with natural pigments, vitamins, and minerals such as copper, iron or zinc. This spice of characteristic flavor and smell not only serves to season your food. If you want to give your hair an extra dose of strength, this is the ingredient you need. The antiseptic properties of cinnamon prevent diseases of the scalp and in turn, eliminates bacteria and other microorganisms that are reasons for hair loss. 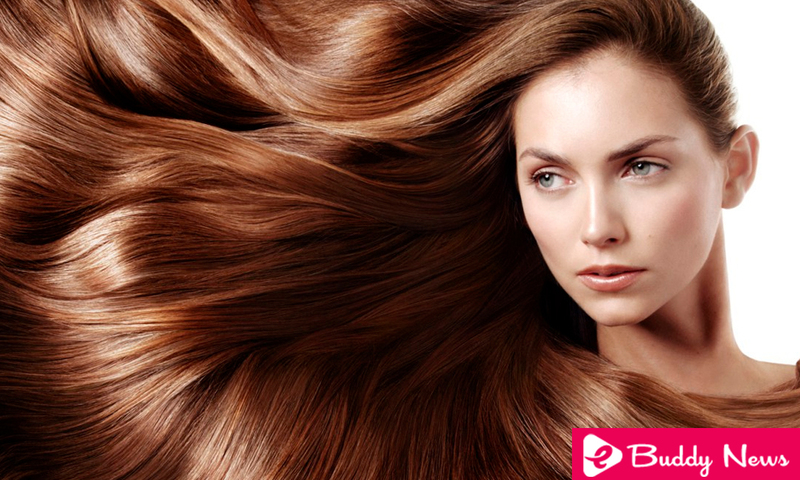 It is beneficial to naturally light brown hair. It stimulates the circulation of blood in the hair follicles which provides an abundant mane, hydrated and with a shine without equal. Nature endows us with endless remedies to encourage hair growth. The most popular are those for topical use, but it is just as important to nurture inside. Foods such as fish, yogurt, and oats, consumed regularly, provide the protein balance necessary to ensure the health of our hair. Avoid excessive use of chemicals that weaken the hair strands. Give your hair the love and care it deserves.